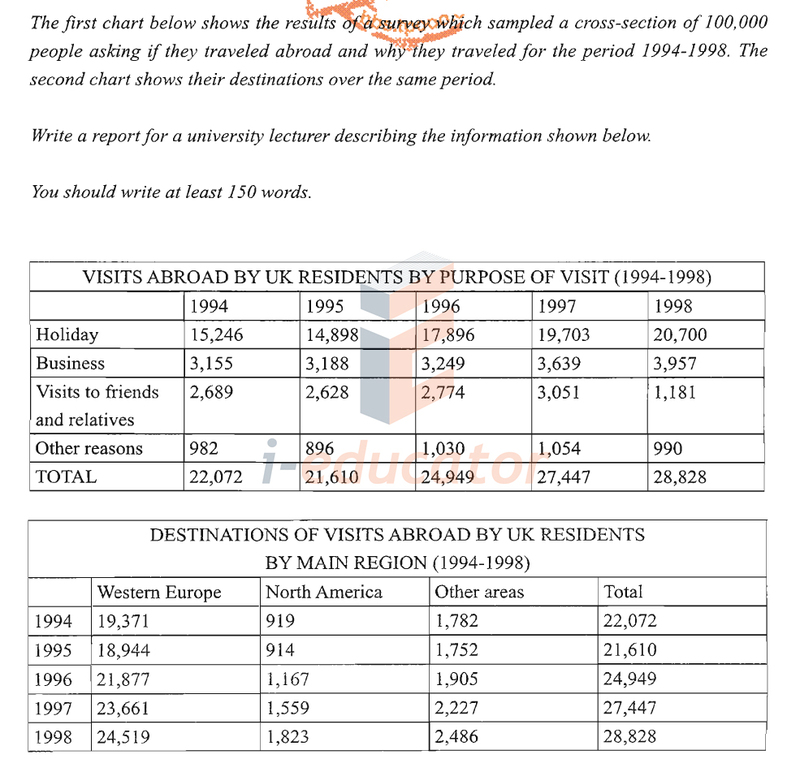 Write a report for a university lectures describing the information shown below. 2. The following table gives statistics showing the aspects of live in five countries. 3. 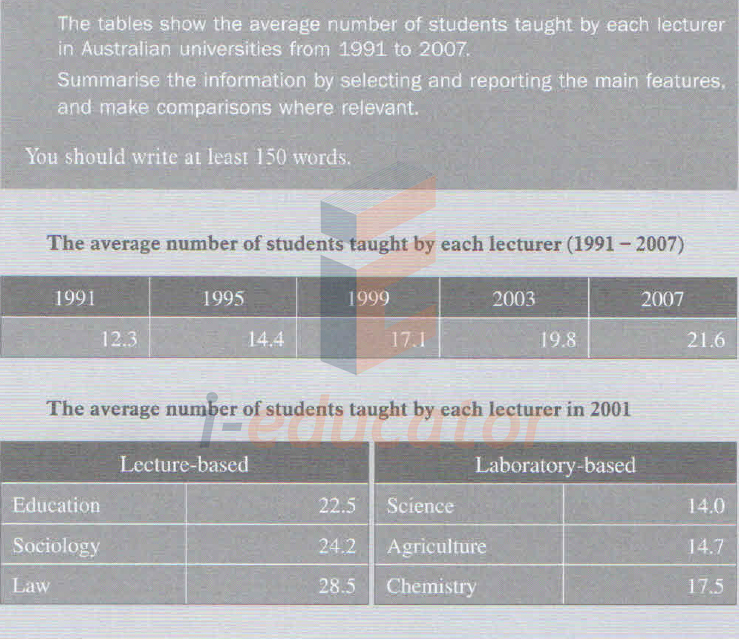 The tables show the average number of students taught by each lecturer in Australian universities from 1991 to 2007. 4. 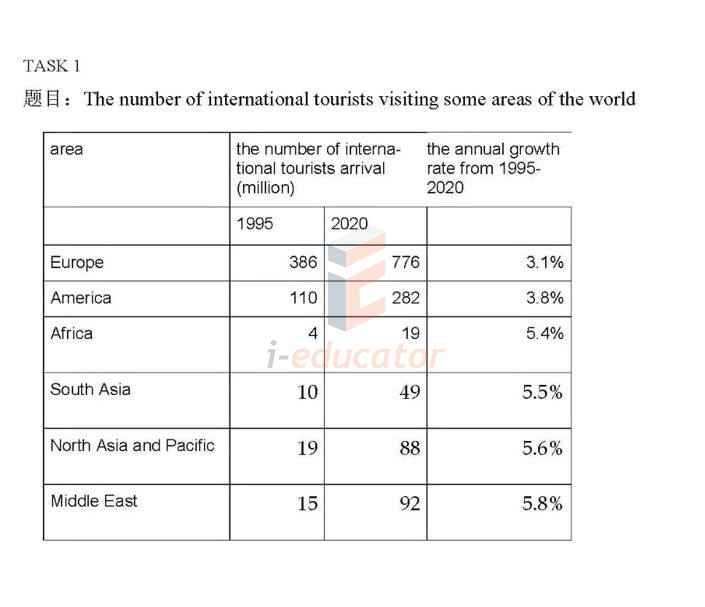 The number of international tourists visiting some areas of the world. 5. The table below gives information about female employment rates in government sites and the position of managers in five countries: Ukraine, Tobago, Italy, Japan and Canada. 6. The table gives information about the female workforce and female managers in five countries. 7. 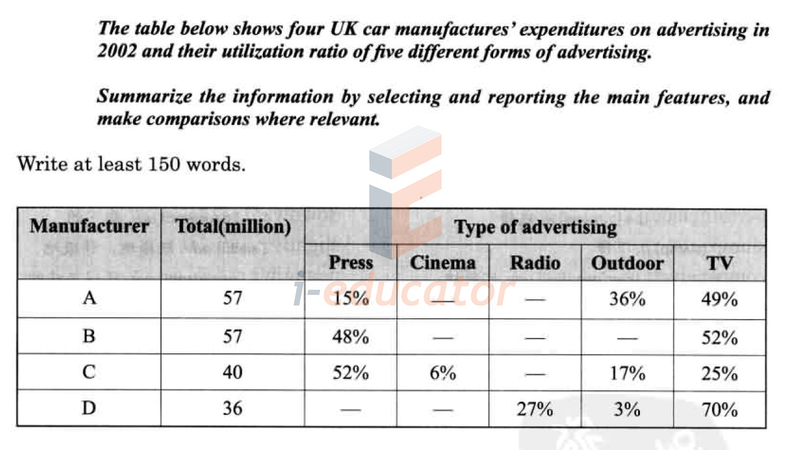 The table below shows four UK car manufactures' expenditures on advertising in 2002 and their utilization ratio of five different forms of advertising. 8. 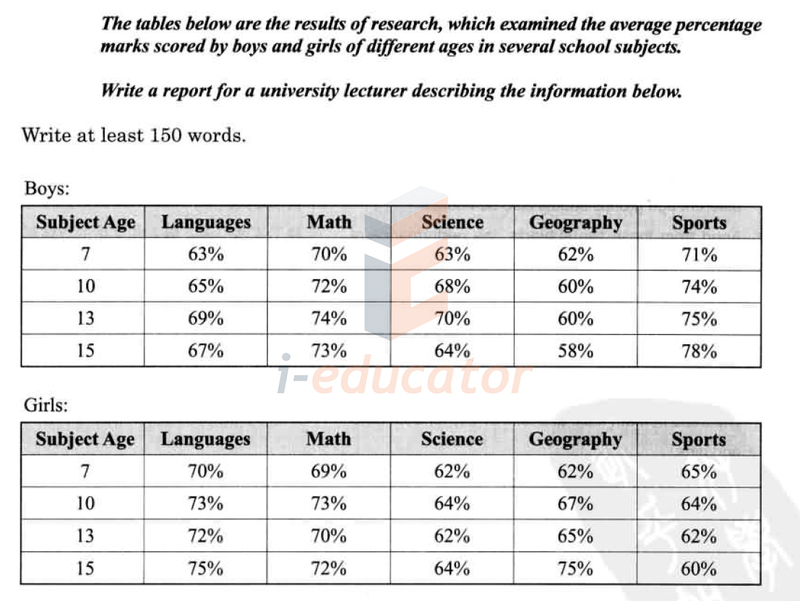 The tables below are the results of research, which examined the average percentage marks scored by boys and girls of different ages in several school subjects. 9. The Table below shows population figures for four countries for 2003 and projected figures for 2025 and 2050. 10. The first chart below shows the results of a survey which sampled a cross-section of 100,000 people asking if they traveled abroad and why they traveled for the period 1994-1998. The second chart shows their destinations over the same period. 11. 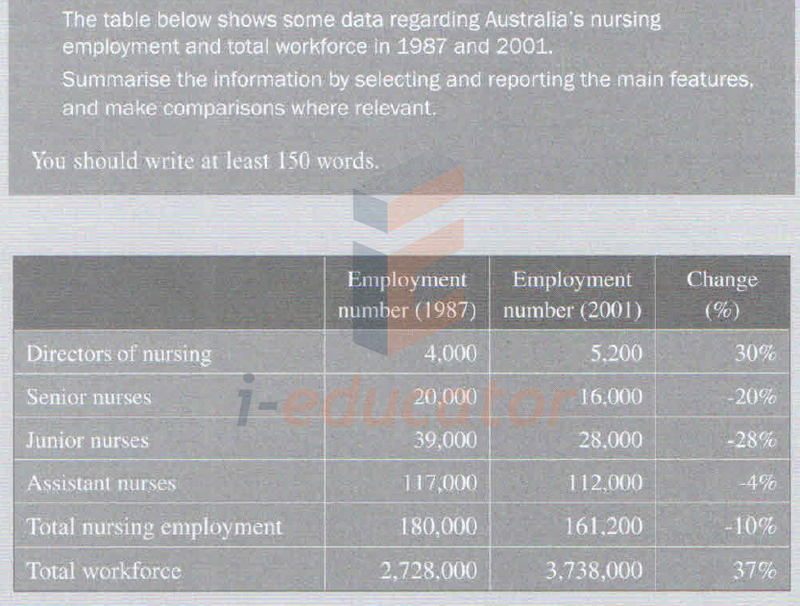 The table below shows some data regarding Australia's nursing employment and total workforce in 1987 and 2001. 12. 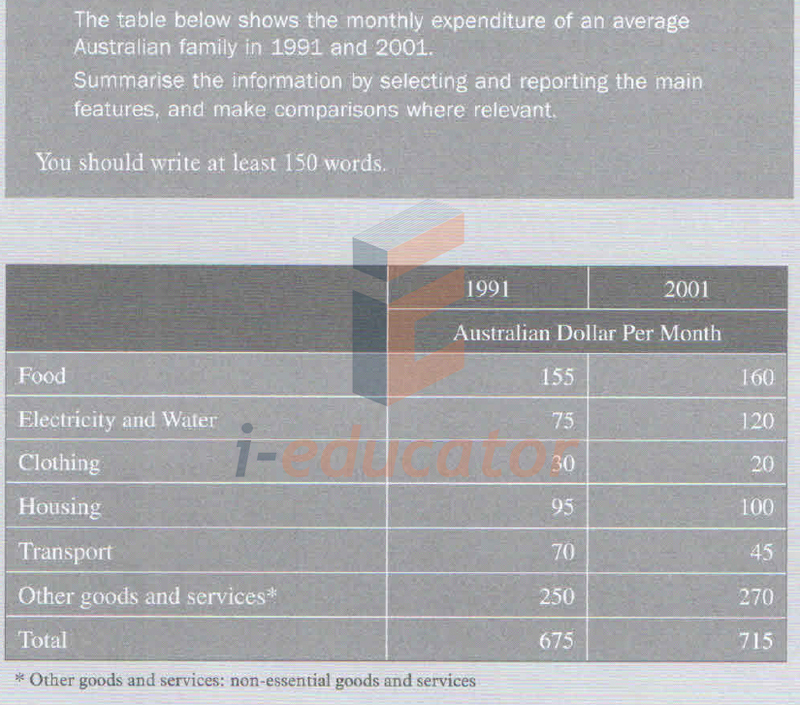 The table below shows the monthly expenditure of an average Australian family in 1991 and 2001. 13. 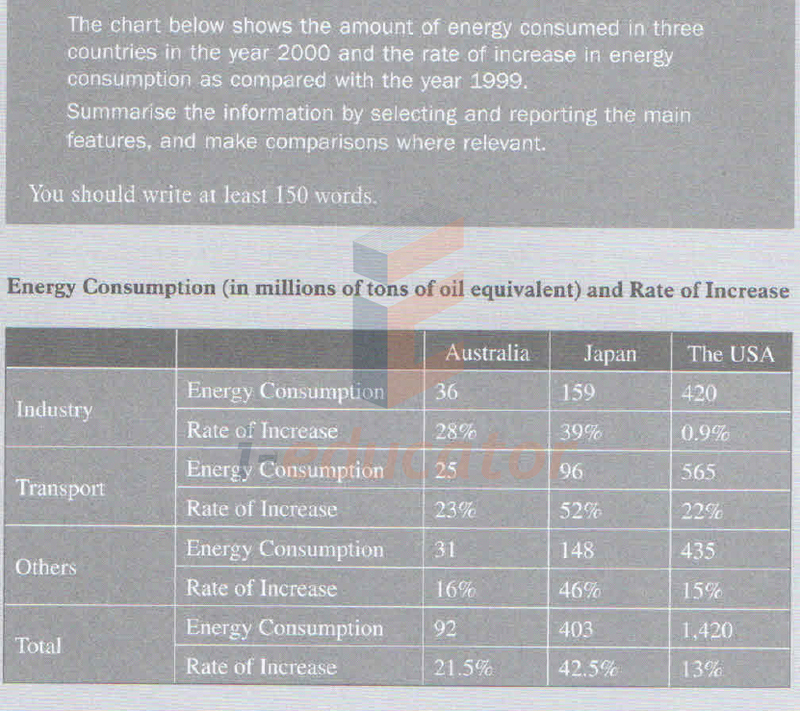 The chart below shows the amount of energy consumed in three countries in the year 2000 and the rate of increase in energy consumption as compared with the year 1999.